August 20 is the 232nd day of the year(233rd in leap years) in the Gregorian calendar.There are 133 days remaining until the end of the year. AD 14 – Agrippa Postumus, maternal grandson of the late Roman emperor Augustus, is executed by his guards under mysterious circumstances while in exile. 636 – Battle of Yarmouk: Arab forces led by Khalid ibn al-Walid take control of the Levant away from the Byzantine Empire, marking the first great wave of Muslim conquests and the rapid advance of Islam outside Arabia. 1083 – Canonization of the first King of Hungary, Saint Stephen and his son Saint Emeric celebrated as a National Day in Hungary. 1191 – Richard I of England initiates the Massacre at Ayyadieh, leaving 2,600–3,000 Muslim hostages dead. 1308 – Pope Clement V pardons Jacques de Molay, the last Grand Master of the Knights Templar, absolving him of charges of heresy. 1391 – Konrad von Wallenrode becomes the 24th Grand Master of the Teutonic Order. 1467 – The Second Battle of Olmedo takes places as part of a succession conflict between Henry IV of Castile and his half-brother Alfonso, Prince of Asturias. 1519 – Philosopher and general Wang Yangming defeats Zhu Chenhao, ending the Prince of Ning rebellion against the reign of the Ming dynasty's Zhengde Emperor. 1672 – Former Grand Pensionary Johan de Witt and his brother Cornelis are brutally murdered by an angry mob in The Hague. 1707 – The first Siege of Pensacola comes to end with the failure of the British to capture Pensacola, Florida. 1710 – War of the Spanish Succession: A multinational army led by the Austrian commander Guido Starhemberg defeats the Spanish-Bourbon army commanded by Alexandre Maître, Marquis de Bay in the Battle of Saragossa. 1775 – The Spanish establish the Presidio San Augustin del Tucson in the town that became Tucson, Arizona. 1794 – Battle of Fallen Timbers: American troops force a confederacy of Shawnee, Mingo, Delaware, Wyandot, Miami, Ottawa, Chippewa, and Potawatomi warriors into a disorganized retreat. 1852 – Steamboat Atlantic sank on Lake Erie after a collision, with the loss of at least 150 lives. 1858 – Charles Darwin first publishes his theory of evolution through natural selection in The Journal of the Proceedings of the Linnean Society of London, alongside Alfred Russel Wallace's same theory. 1882 – Tchaikovsky's 1812 Overture debuts in Moscow, Russia. 1905 – Sun Yat-sen, Chinese revolutionary, forms the first chapter of T'ung Meng Hui, a union of all secret societies determined to bringing down the Manchus. 1910 – The Great Fire of 1910 (also commonly referred to as the "Big Blowup" or the "Big Burn") occurs in northeast Washington, northern Idaho (the panhandle), and western Montana, burning approximately 3 million acres (12,000 km2). 1914 – World War I: Brussels is captured during the German invasion of Belgium. 1920 – The first commercial radio station, 8MK (now WWJ), begins operations in Detroit. 1926 – Japan's public broadcasting company, Nippon Hōsō Kyōkai (NHK) is established. 1938 – Lou Gehrig hits his 23rd career grand slam, a record that stood for 75 years until it was broken by Alex Rodriguez. 1940 – In Mexico City, exiled Russian revolutionary Leon Trotsky is fatally wounded with an ice axe by Ramón Mercader. He dies the next day. 1940 – World War II: British Prime Minister Winston Churchill makes the fourth of his famous wartime speeches, containing the line "Never was so much owed by so many to so few". 1944 – World War II: 168 captured allied airmen, including Phil Lamason, accused by the Gestapo of being "terror fliers", arrive at Buchenwald concentration camp. 1944 – World War II: The Battle of Romania begins with a major Soviet Union offensive. 1950 – Korean War: United Nations repel an offensive by North Korean divisions attempting to cross the Nakdong River and assault the city of Taegu. 1955 – Battle of Philippeville: In Morocco, a force of Berbers from the Atlas Mountains region of Algeria raid two rural settlements and kill 77 French nationals. 1960 – Senegal breaks from the Mali Federation, declaring its independence. 1962 – The NS Savannah, the world's first nuclear-powered civilian ship, embarks on its maiden voyage. 1968 – Cold War: Warsaw Pact troops invade Czechoslovakia, crushing the Prague Spring. East German participation is limited to a few specialists due to memories of the recent war. Only Albania and Romania refuse to participate. 1975 – Viking program: NASA launches the Viking 1 planetary probe toward Mars. 1977 – Voyager program: NASA launches the Voyager 2 spacecraft. 1986 – In Edmond, Oklahoma, U.S. Postal employee Patrick Sherrill guns down 14 of his co-workers and then commits suicide. 1988 – Iran–Iraq War: A ceasefire is agreed after almost eight years of war. 1988 – The Troubles: Eight British soldiers are killed and 28 wounded when their bus is hit by an IRA roadside bomb in Ballygawley, County Tyrone. 1989 – The pleasure boat Marchioness sinks on the River Thames following a collision. Fifty-one people are killed. 1991 – Dissolution of the Soviet Union, August Coup: More than 100,000 people rally outside the Soviet Union's parliament building protesting the coup aiming to depose President Mikhail Gorbachev. 1991 – Estonia, annexed by the Soviet Union in 1940, issues a decision on the re-establishment of independence on the basis of historical continuity of its pre-World War II statehood. 1993 – After rounds of secret negotiations in Norway, the Oslo Accords are signed, followed by a public ceremony in Washington, D.C. the following month. 1995 – The Firozabad rail disaster claimed 358 lives in Firozabad, India. 1998 – The Supreme Court of Canada rules that Quebec cannot legally secede from Canada without the federal government's approval. 1998 – U.S. embassy bombings: The United States launches cruise missile attacks against alleged al-Qaeda camps in Afghanistan and a suspected chemical weapons plant in Sudan in retaliation for the August 7 bombings of American embassies in Kenya and Tanzania. 2002 – A group of Iraqis opposed to the regime of Saddam Hussein take over the Iraqi Embassy in Berlin, Germany for five hours before releasing their hostages and surrendering. 2006 – Sri Lankan Civil War: Sri Lankan Tamil politician and former MP S. Sivamaharajah is shot dead at his home in Tellippalai. 2007 – China Airlines Flight 120 caught fire and exploded after landing at Naha Airport in Okinawa, Japan. 2008 – Spanair Flight 5022, from Madrid, Spain to Gran Canaria, skids off the runway and crashes at Barajas Airport. Of the 172 people on board, 146 die immediately, and eight more later die of injuries sustained in the crash. 2012 – A prison riot in the Venezuelan capital, Caracas, kills at least 20 people. 2014 – Seventy-two people are killed in Japan's Hiroshima Prefecture by a series of landslides caused by a month's worth of rain that fell in one day. 2016 – Fifty-four people are killed when a suicide bomber detonates himself at a Kurdish wedding party in Gaziantep, Turkey. 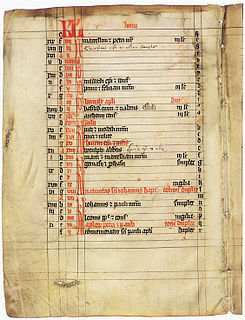 AD 14 (XIV) was a common year starting on Monday of the Julian calendar. At the time, it was known as the Year of the Consulship of Pompeius and Appuleius. The denomination AD 14 for this year has been used since the early medieval period, when the Anno Domini calendar era became the prevalent method in Europe for naming years. Agrippa Postumus, also referred to as Postumus Agrippa, was the youngest son of Marcus Vipsanius Agrippa and Julia the Elder, daughter and only biological child of Emperor Augustus. At the time Augustus considered Postumus as a potential successor, but banished him from Rome in AD 6, for reasons that remain unknown. This, in effect, though not in law, cancelled his adoption and virtually assured Tiberius' position as Augustus' sole heir. Postumus was ultimately executed by his own guards shortly after Augustus' death in AD 14. Bolesław III Wrymouth, was a Duke of Lesser Poland, Silesia and Sandomierz between 1102 and 1107 and over the whole Poland between 1107 and 1138. He was the only child of Prince Władysław I Herman and his first wife Judith, daughter of Vratislaus II of Bohemia. Marcus Vipsanius Agrippa was a Roman consul, statesman, general and architect. He was a close friend, son-in-law, and lieutenant to Gaius Julius Caesar Octavianus and was responsible for the construction of some of the most notable buildings in the history of Rome and for important military victories, most notably at the Battle of Actium in 31 BC against the forces of Mark Antony and Cleopatra. 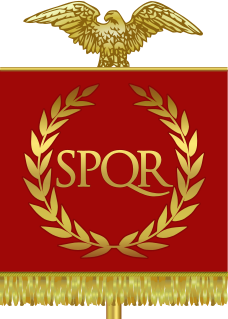 As a result of these victories, Octavianus became the first Roman Emperor, adopting the name of Augustus. Agrippa assisted Augustus in making Rome "a city of marble" and renovating aqueducts to give all Romans, from every social class, access to the highest quality public services. He was responsible for the creation of many baths, porticoes and gardens, as well as the original Pantheon. Agrippa was also husband to Julia the Elder, maternal grandfather to Caligula, and maternal great-grandfather to the Emperor Nero. Year 535 (DXXXV) was a common year starting on Monday of the Julian calendar. At the time, it was known as the Year of the Consulship of Belisarius without colleague. The denomination 535 for this year has been used since the early medieval period, when the Anno Domini calendar era became the prevalent method in Europe for naming years. Saint Mochta, Mochtae, or Mahew, in Latin sources Maucteus or Mauchteus, was the last surviving disciple of St. Patrick. Joseph Georg Simon Häfner was a German Roman Catholic priest and martyr from the Diocese of Würzburg. On 15 May 2011 he was beatified in Würzburg Cathedral. Heliodorus of Bet Zabdai was a Syrian bishop of Bet Zabdai in Mesopotamia and a martyr. Restoration of Independence Day, re-declaration of the independence of Estonia from the Soviet Union in 1991. Amadour is regarded as the founder of the shrine of Our Lady of Rocamadour in France. He is believed to have been a hermit. His feast day is August 20. Bernard of Clairvaux, O.Cist was a French abbot and a major leader in the reform of Benedictine monasticism that caused the formation of the Cistercian order. August 3 is the 215th day of the year in the Gregorian calendar. There are 150 days remaining until the end of the year. December 8 is the 342nd day of the year in the Gregorian calendar. There are 23 days remaining until the end of the year. October 1 is the 274th day of the year in the Gregorian calendar. There are 91 days remaining until the end of the year. September 23 is the 266th day of the year in the Gregorian calendar. There are 99 days remaining until the end of the year. It is frequently the day of the autumnal equinox in the Northern Hemisphere and the day of the vernal equinox in the Southern Hemisphere. March 20 is the 79th day of the year in the Gregorian calendar. There are 286 days remaining until the end of the year. Typically the March equinox falls on this date, marking the vernal point in the Northern Hemisphere and the autumnal point in the Southern Hemisphere. ↑ Baer, Joel H. (2005). Pirates of the British Isles. London: Tempus Publishing. p. 93. ISBN 978-0-7524-2304-3. ↑ Phillips, Michael Scott (2018). Quite Quite Fantastic! 'The Avengers' for Modern Viewers. Atlanta: Growl Books. p. 387. ISBN 978-1-5323-7516-3. ↑ Cashman, Greer Fay (20 August 2018). "Warrior for Peace: Uri Avnery Passes Away at 94". The Jerusalem Post . Wikimedia Commons has media related to August 20 .